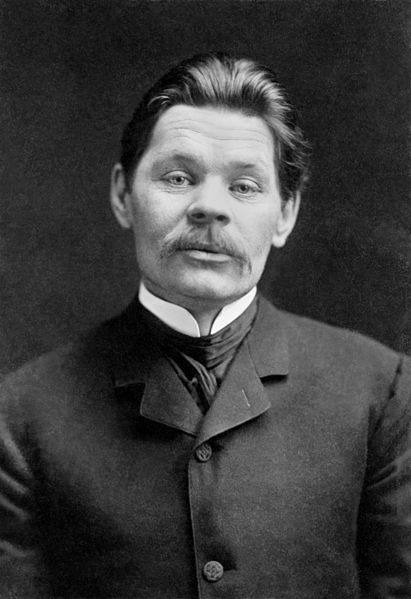 Known by his pen name, Maxim Gorky, Alexei Maximovich Peshkov (March 1868 - June 1936) was a Russian writer, dramatist, and political activist. Part of the Socialist Realism movement, Maxim Gorky was orphaned at the age of eleven, ran away at the age of twelve, and attempted suicide when he was nineteen and a half years old. After the suicide attempt he traveled across the Russian Empire on foot for five years, changing jobs often and accumulating the experiences and impressions that he used later in his life as a writer. A political activist, Peshkov was described as simmering with anger, and wanting to tell the true story of life in Russia. His chosen pseudonym "Gorky" translates directly as "bitter." Fittingly, his chosen first name, "Maxim" means "a short, pithy statement expressing a general truth or rule of conduct." Bitter, indeed, and a skilled storyteller.